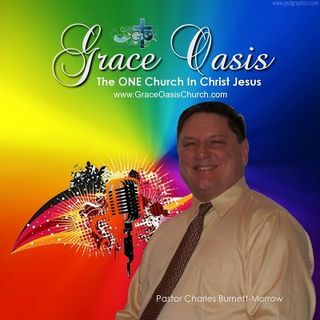 Grace Oasis aka The ONE Church In Christ Jesus - Dallas TX - Pastor Charles Burnett-Morrow We're so glad you are here! This week we began a new Bible Study. This series will look at issues related to Christian life, love, and relationships. This study addresses such issues as dating, courtship, sexual etiquette, the road to marriage, and finally - our liberty as children of God as it relates to our walk with God. This is an essential study for ALL ... See More believers! POW - "Power Outlet Wednesdays"
Explore the Word of God with us LIVE Wednesday evenings at 7:30pm (CST). Plan on digging deep and growing! Pastor Charles Curtiss Burnett-Morrow of The ONE Church In Christ Jesus, Dallas TX, delivers some of the most unique and powerful prophetic messages. This is a collection of messages recently preached in Dallas. Special singing by various members of our church over the years. Some of the recordings are older, so the sound quality may not be the greatest. But we share these songs in hopes that they might prove a blessing and encouragement. Worship with us LIVE Sundays at 3pm (CST). Come into RELATIONSHIP with a loving God and Savior. Leave behind the shackles of religion and learn the truth about God and His Gospel. It's liberating and exciting! Much has been taught concerning giving in recent decades, particularly by TV and radio ministries, which is incorrect and even abusive. The truth about biblical giving is simple. This study looks at issues like tithes and offerings, support of missionaries, giving to the poor, and more. Understanding giving from a true Biblical ... See More perspective is exciting as it genuinely holds the keys to blessings from above! Demons, Possession, Haunting, Ghosts, Poltergeists, etc are REAL. But are they what they appear to be? This is a teaching/Bible Study series in which we looked at all matters paranormal, from a Biblical, Christian perspective. There is so much interest and curiosity in our world today relative to the paranormal and supernatural. ... See More But what exactly does the Word of God tell us concerning these issues? Does it say anything? Each week we addressed a new area of this interesting study on spiritual warfare. If you live in the Dallas area, join us weekly (Tuesdays 7:30-9pm) and bring your experiences and questions. This will be a marvelous time of deliverance for many. 2-18-14 This collection consists of a walk through the entire epistle of Romans. Pastor Charles helps us to understand this important book by presenting a verse by verse breakdown. Each week he covers anywhere from one to several verses, offering in depth analysis and explanation. TEACHING - "Who Is That Woman?" Wednesday Night - LIVE - POW!